A CNN article touts it as the "most historic plane in the world." The Air Force One of JFK. It's the SAM 26000, and its a beauty. This ain't just ANY Air Force One. 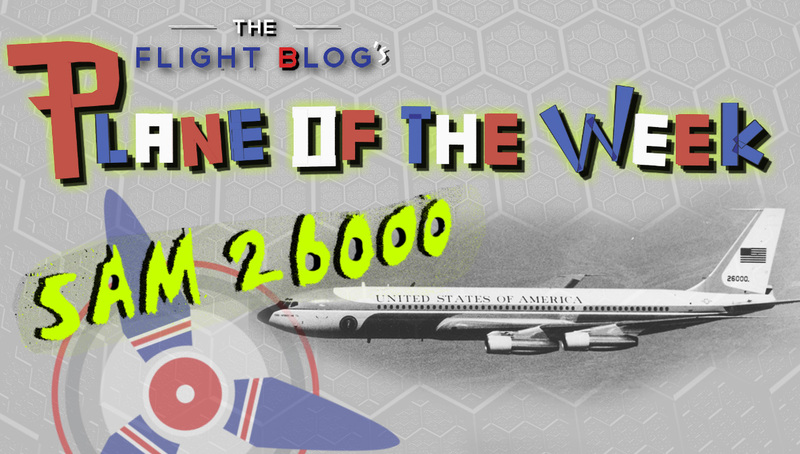 SAM 26000 saw more historic events than any other-ranging from the tragic to the hilarious. A national treasure, the airliner now sits in the Air Force museum in Dayton, Ohio. This plane was constructed at the Renton plant, Boeing's famous construction facility at the astronomical price of $8 million. It was decorated on the outside with blue and white sleek paint, and on the inside with 60s-era furniture and lighting-but what was most spectacular about this airplane was its history. 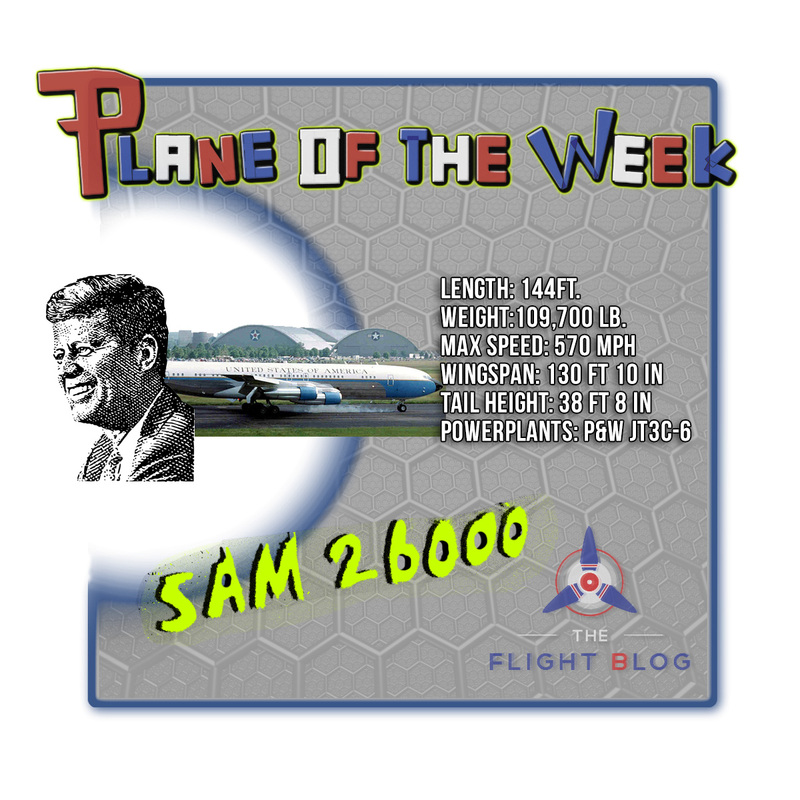 The SAM 26000 was first granted to JFK for use in late 1962. His first flight was taken in November of that year to attend First Lady Eleanor Roosevelt's funeral in Hyde Park, New York. By the following year, the aircraft had set a new record when flying from Washington to Moscow. The plane is easily recognizable by its color scheme, and the sight of it hearkens back to the earliest days of the Kennedy presidency. Many who had access to a television in 1963 might remember the iconic news broadcast of JFK and his wife exiting the SAM 26000 in stark color. However, the most memorable aspect of its history came after the assassination of JFK wherein Vice President Lyndon B. Johnson was sworn in-surrounded by reporters and Jacqueline Kennedy-right before take-off to Washington. This, of course, took place in the late days of November, and the Thanksgiving holiday was right around the corner. After Johnson was sworn in, he amassed nearly 1,600,000 miles in his five years as President of the United States. He once was quoted as calling it "my own little plane." By the end of his presidency, many additional flourishes were added to the cabin. Sure enough, the SAM 26000 was also the preferred ride of Richard Nixon. He actually made many changes from JFK's original schematic-in addition to wiping out the open-floor plan, Nixon added a three-room suite for him and his family. The plane now sits in the Presidential Planes hangar at Wright-Patterson Air Force Museum.